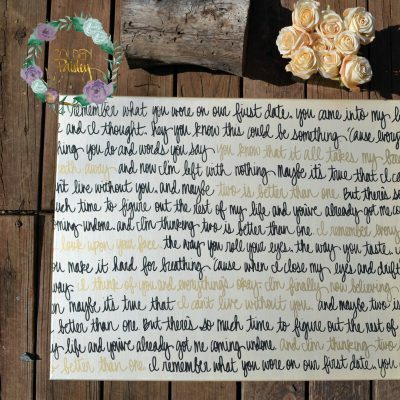 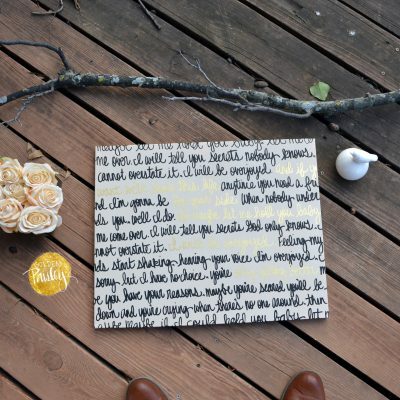 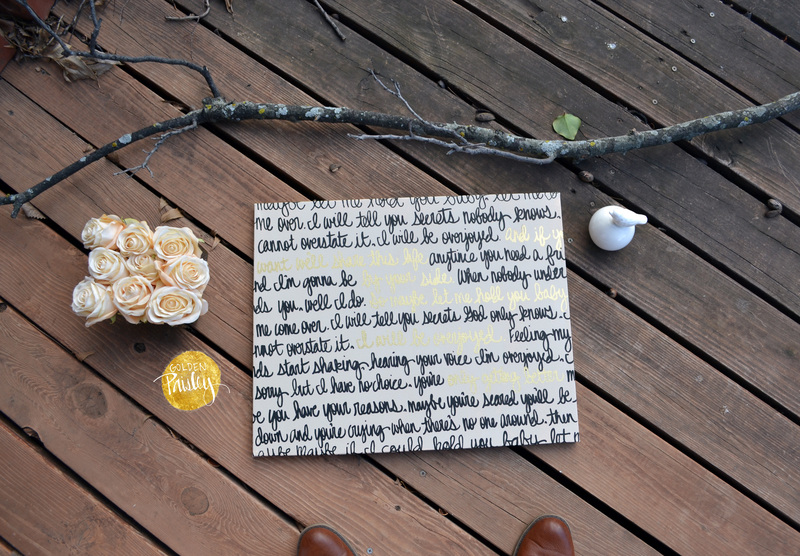 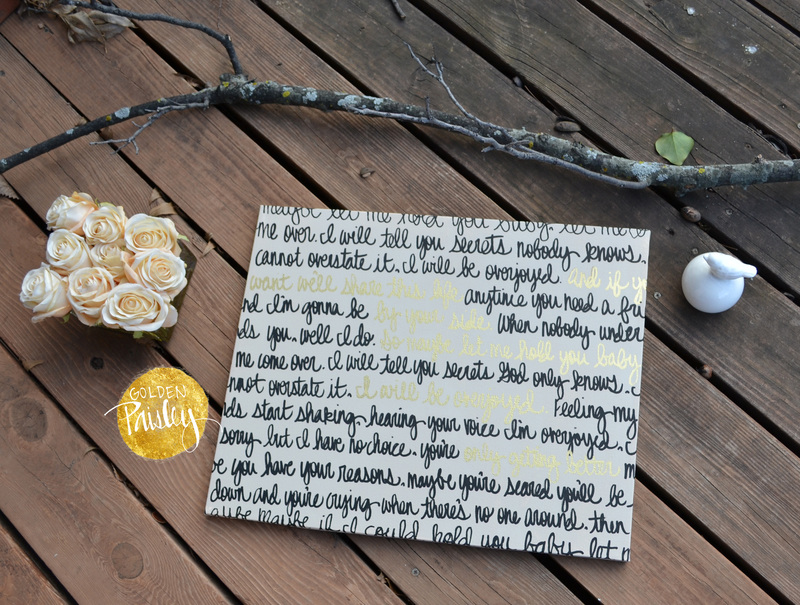 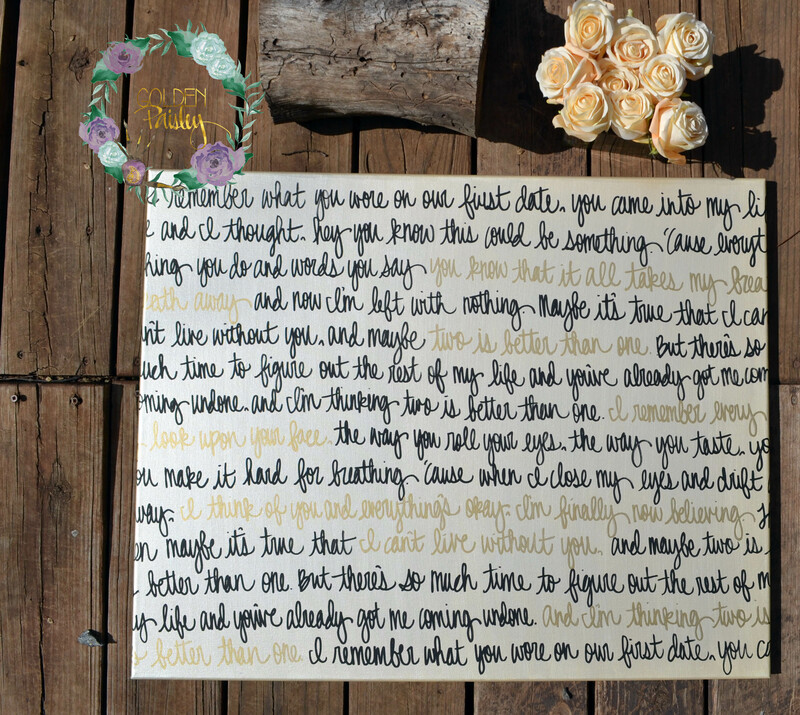 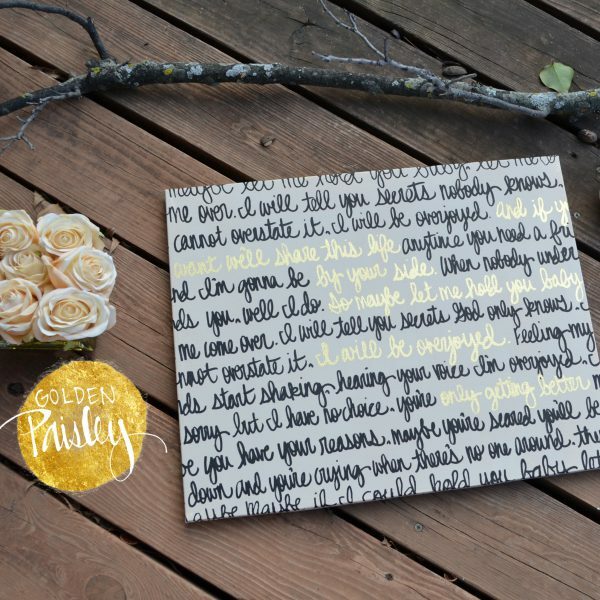 This wedding vow or song lyric art canvas features your text of choice hand painted on a stretched canvas in a beautiful arrangement. 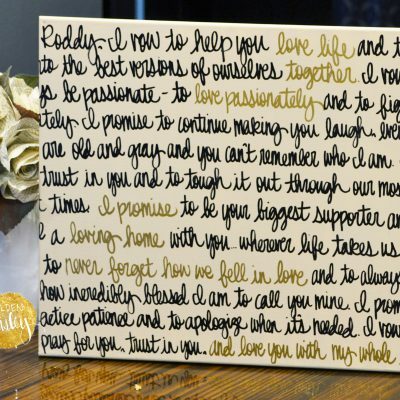 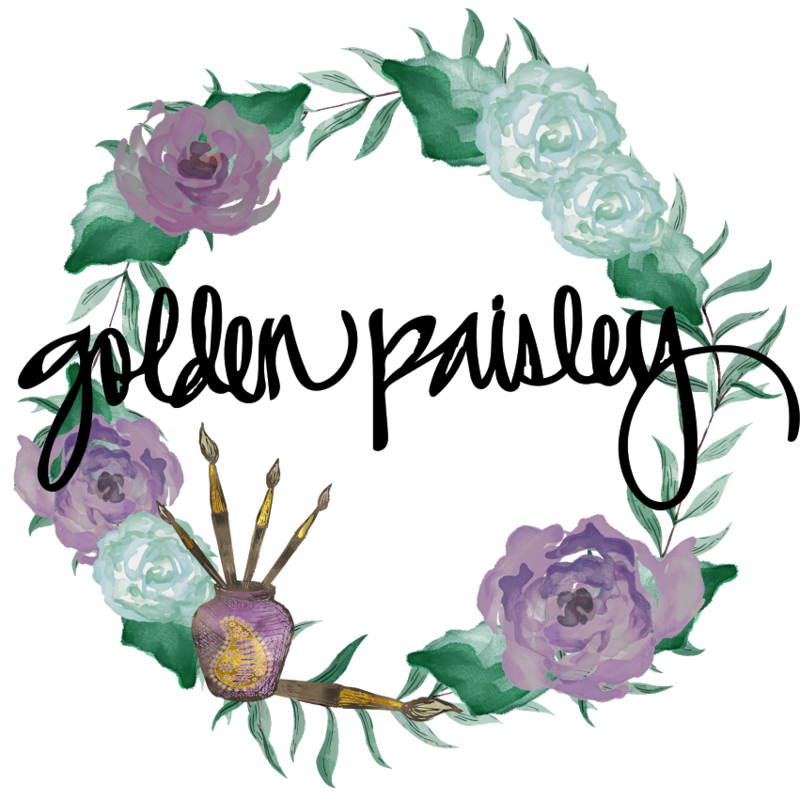 The custom and personalized factor of this artwork makes it the perfect touch for wedding decor, and would also make an amazing, thoughtful gift for a bridal shower or anniversary. 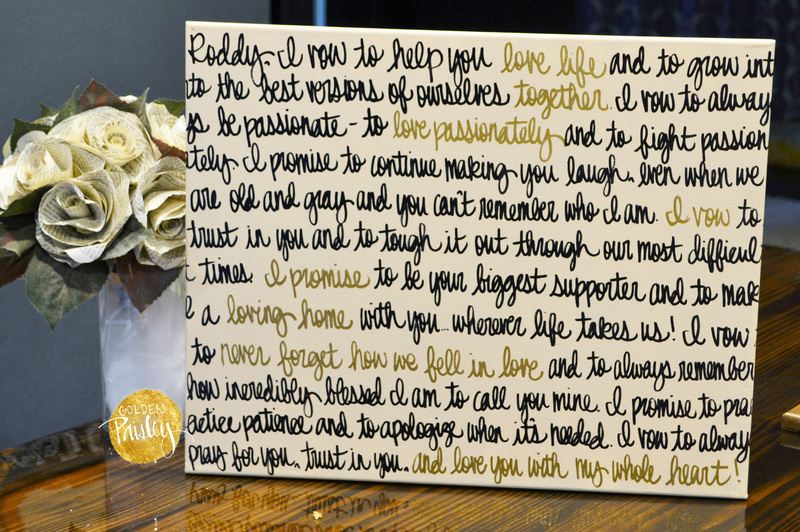 This listing features a beautiful, slightly metallic champagne background with black and metallic gold text. 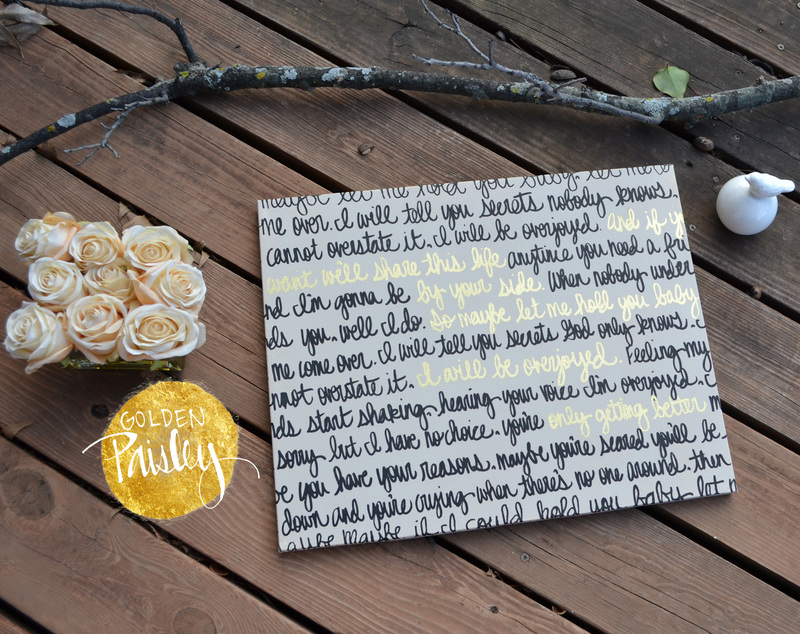 You can specify which words are highlighted in gold, or I can choose them based on meaning and placement. 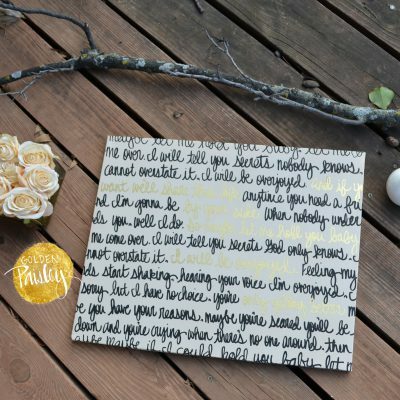 Colors can easily be customized to get the look of your choice!